During the 2018-19 academic year, DePauw University cut $700,000 in employee healthcare, raised tuition by 2.9 percent, laid off 56 staff members and offered a buyout to faculty in what it says was an effort to combat the university’s $193.5 million in liabilities and counteract the annual budget that is projected to operate at a $5 to $6.5 million deficit over the next several years. 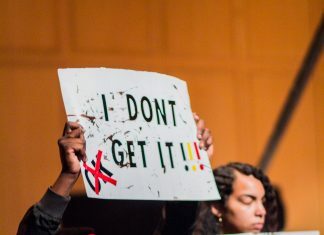 These changes have been controversial, engendering a faculty vote of no-confidence in President Mark McCoy in November, emotional faculty meetings and student protests. However, these financial issues are not unique to DePauw, as small liberal arts colleges and universities across the nation, but particularly in the northeast, are experiencing financial difficulties, and several of them, including Green Mountain College, Burlington College, and Saint Joseph’s College, have shut their doors for good. These shutdowns are a result of multiple factors including a decline in the college-age population and a shift in the perception of a liberal arts education. Nathan Grawe, a Carleton College social scientist, wrote in his 2018 book, “Demographics and the Demand for Higher Education,” that the population of traditionally college-aged students is set to decline in the Northeast and Midwest by about 5 percent by the mid-2020s. He also wrote that the economic downturn of 2008 has led many to delay starting families, and by around 2026, the result could amount to a 15 percent loss in the typical college population. Declining enrollment numbers haunt many small liberal arts schools, including DePauw. According to DePauw University’s Office of Institutional Research, enrollment numbers have seen a steady decline since the 2009-10 academic year. The number of enrolled, on-campus students decreased from 2,313 in 2009-10 to 2,080 in 2018-19. High-profile institutions, such as Harvard and Yale, due to their enrollment numbers and large endowments, seem to be doing fine, says Roger Baldwin, who holds the Dr. Mildred B. Erickson Distinguished Chair in Higher, Adult and Lifelong Education at Michigan State University. But schools with endowments of less than $100 million will feel the pressure, according to Moody’s, a bond credit rating business. Depauw’s endowment for the 2018 fiscal year is over $730 million, according to a report released by the National Association of College and University Business Officers and TIAA. However, changes in student demographics and financial burdens do not necessarily mean all liberal arts institutions are in danger. The changes at DePauw have been troubling to many. Critics on campus charge that the administration has not been forthcoming in sharing the reasons these changes are necessary. “I’d like to see more transparency,” says Kevin Howley, professor of communication and secretary-treasurer of the DePauw chapter of the American Association of University Professors. The immediate implications are to employee morale, which has been damaged before but is now close to “rock-bottom,” he added. Howley also wants to be aware of how much money is being spent on university consultants, off-the-shelf software that is being used to track student progress, and PR strategies. “I think DePauw would be best served by doubling down on its commitment to the liberal arts, as opposed to trying to compete with programs like the Indiana University Kelley Business School,” said Howley. Outside of campus, DePauw is one of the largest employers in Greencastle, and these layoffs will have “enormous” effects in the not just the local economy but the county, says Howley. Greencastle Mayor William A. Dory concedes that DePauw is one of the top five employers in the city. According to Dory, any time positions are lost there will be economic impact, but without knowledge of how many of the 56 laid off staff members live in Putnam County, it can be difficult to trace the impact. DePauw administration claims that the changes in personnel will ensure the future of DePauw.